In the mood for a little bit of DIY? 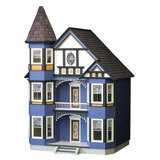 Looking to make a dollhouse that matches the vision you have in your head? 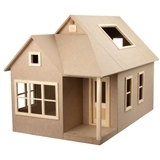 We love the fun and excitement of building your own dollhouse, and that’s why we have our do it yourself dollhouse kits. 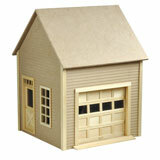 These kits include everything you need for constructing mansions, cottages, farmhouses, and much more. 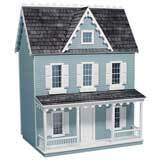 Take a look at our kits below…you may be surprised to see one that fits your dream blueprint perfectly! 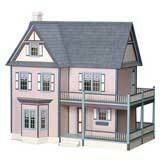 Even if you don’t have an idea, it can be fun to just browse and find a dollhouse kit that gives you ideas on its own. 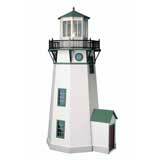 Maybe you’ve never thought of building a miniature lighthouse until today, or maybe one of the beautiful miniature mansions or manors will inspire you to expand your vision a few floors! 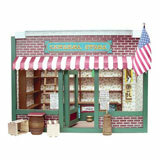 You’ll never know until you start looking at all the amazing miniature kits we have to offer. 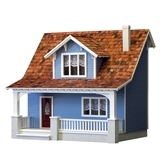 So, whether you’re looking to create a perfect miniature beach house, a rambling estate, or a rustic farmhouse, we’ve got a DIY miniature dollhouse kit that will be the perfect base for you. 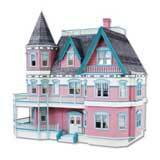 We’d love to help you build a dollhouse that brings you joy. 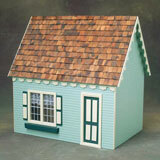 Start from one of these do it yourself dollhouse kits and create your miniature home from the ground up. Do you love one of these kits, but think it could use a few more wings or windows? Want to add a porch, or a conservatory? 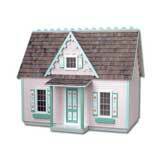 Take a look at our dollhouse additions!